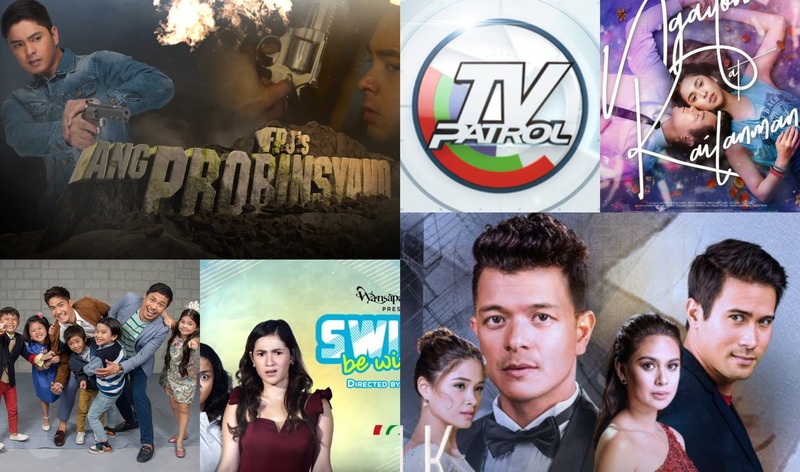 ABS-CBN remained as the top ranking network in the country last November as it delivered news and values-laden stories to more Filipinos nationwide and hit an average audience share of 45%, or 15-points higher than GMA’s 30%, according to data from Kantar Media. The Kapamilya network won in both urban and rural homes, particularly in Mega Manila where it scored an average audience share of 37% versus GMA’s 29%, and in Metro Manila where it garnered 43%, or a 20-point lead against GMA’s 23%. ABS-CBN also led in Total Luzon with 40%, compared to GMA’s 32%; in Total Visayas with 53%, beating GMA’s 24%; and in Total Mindanao with 53%, while GMA only got 26%. ABS-CBN also won across all time blocks, particularly in primetime where it registered an average audience share of 49%, or 19-points higher than GMA’s 30%. The primetime block is the most important time of the day when most Filipinos watch TV and advertisers put a larger chunk of their investments in to reach more consumers effectively. The Kapamilya network also ruled the morning block (6AM-12NN) with an average audience share of 37% versus GMA’s 26%, the noontime block (12NN-3PM) with 43%, compared to GMA’s 31%, and the afternoon block with 45%, beating GMA’s 32%. Excuse me???! 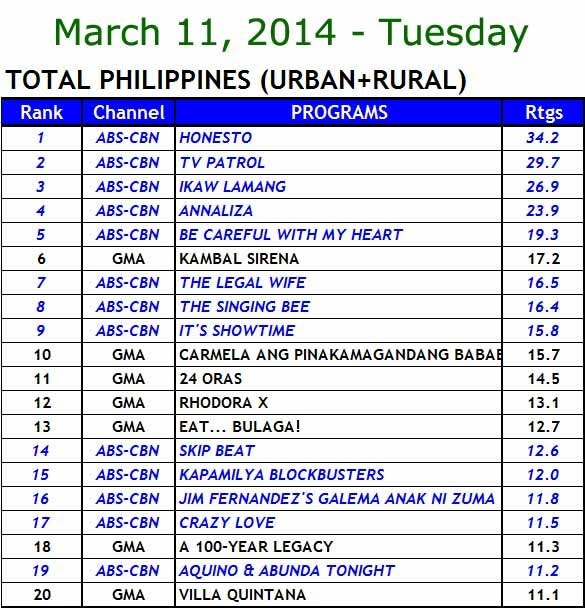 no doubt naman na ABS CBN and number one. Kailangan pa bang E-memorize yan lol. Both rival networks (GMA and ABS)claimed they’re on top of the other using different media survey agencies. A particular agency favors one over the other and vice-versa. Which media survey agency is releasing the TRUE RESULT? Why not use one common survey agency and let’s find out which network will prevail? Calling IMPARTIAL media survey agency for the TRUTH to come out!!! !